Mari Anne's guest is Chris Kontes. 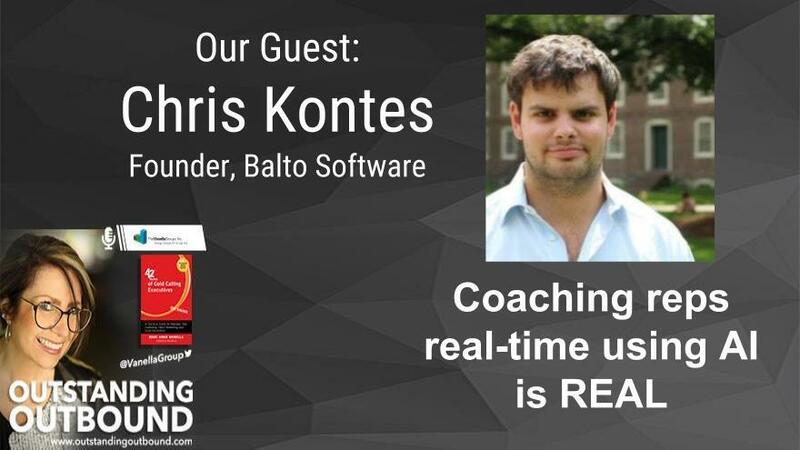 Chris Kontes is a co-founder and the COO of Balto Software, where he oversees all things lead generation. Since its inception in 2017, Balto has helped guide millions of phone conversations for some of the world's leading brands. Previously, Chris founded and later sold CarCrunch.com, a website that generates high-quality leads for major automotive retailers, most notably edmunds.com. Subsequently, Chris managed Sales Development at TopOPPS, a leading sales intelligence platform, where he increased lead generation by over 500%.